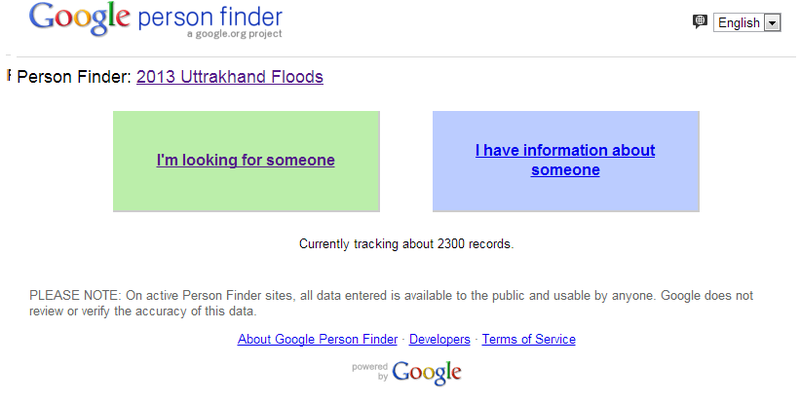 If Any Of Your Parents Or Relatives Or Friends Are in Uttarakhand Due To Flood Then We Can Find Him With The Help Of Each Other And Google . With The Help Of Google Project We Can Search Our Parents Or Relatives Or Friends By His Name , If You Found Him Then Well And Good . Otherwise Just Create A New Record And Fill The Information Of Your Parents . 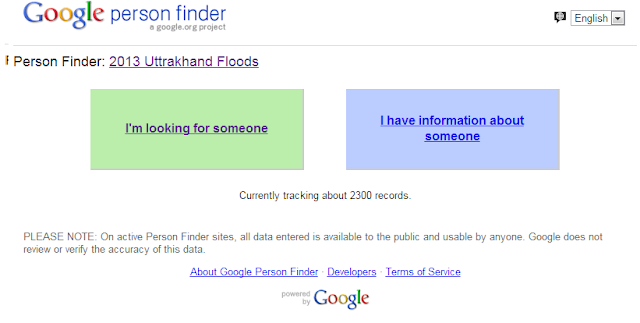 At Currnet Time Google Project Traced More Then 2300 People's . And Remember 1 Thing Fill Your Contact Info And E-Mail ID . Google Will Contact You If They Found Your Parents or Frined's .